So yesterday was the MDHA (Michigan Duck Hunters Association) Waterfowl Stamp Contest. 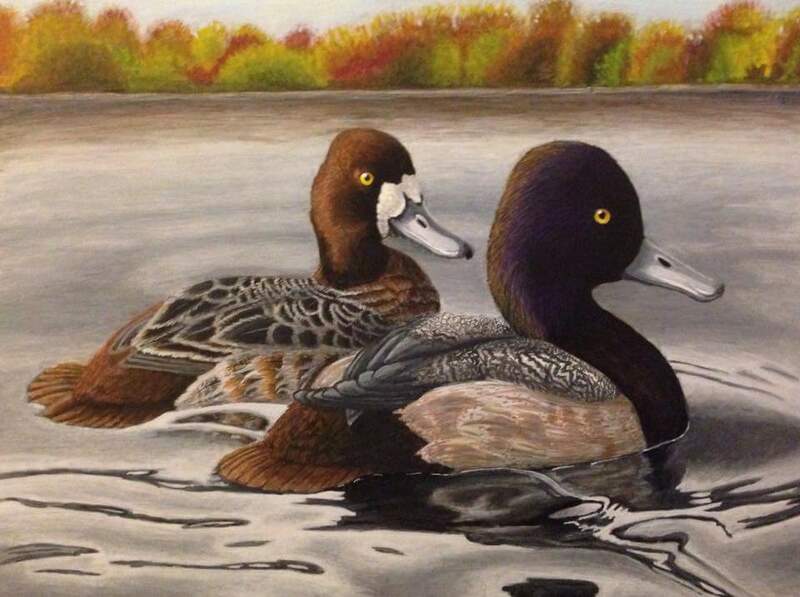 This was my first duck stamp competition and I was very excited to have entered. Duck stamps are incredibly important to conservation. The Federal Duck Stamp currently sells for about $25. 98 cents of every dollar goes towards buying wetlands for conservation. These have allowed waterfowl populations to flourish. But not just waterfowl, there are many species of birds, mammals, reptiles, amphibians, fish, and plants that make up the wetlands and all receive benefits from the duck stamp. While there is a federal stamp chosen every year, there are also several states that have their own stamp as well as the federal. These are usually required purchases for hunting licenses, but many birders will support them as well. In January or February I decided to try and enter the Michigan contest. After several months of work I had a “finished” product ready to ship off. Judging tool place last night and while I did not make the top 4 (I wasn’t really expecting too) I was very happy to have had the chance to participate. One of my friends took 3rd place which was also very exciting. This was my entry. I think its an ok start, but I know there will be more duck stamps in the future and I’m hopeful that I will improve enough to be some real competition.